Augustana teaching faculty and librarians have agreed that the citation styles below are standard within each subject area. The QuickGuides provide guidelines, but we highly recommend that you consult the complete guide for each citation style's detailed explanations and additional examples. Call numbers for the complete print guides are provided below. Need to cite a human book for your assignment? See this guide to learn how. To learn about the basic structure of a citation in any style, try this tutorial. Need to organize a lot of sources? Try RefWorks! Note: there are two separate Chicago QuickGuides: one for the notes-bibliography system and one for the author-date system. Choose the appropriate guide based on the system that you are using. Tip: Use the MLA Practice Template to assemble your works cited list entries. 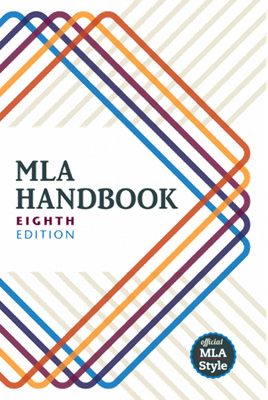 Basic guidelines and FAQs for MLA style can be found at style.mla.org.